DC has released a three-track EP from its fictional comic book band, fronted by superhero Black Canary. 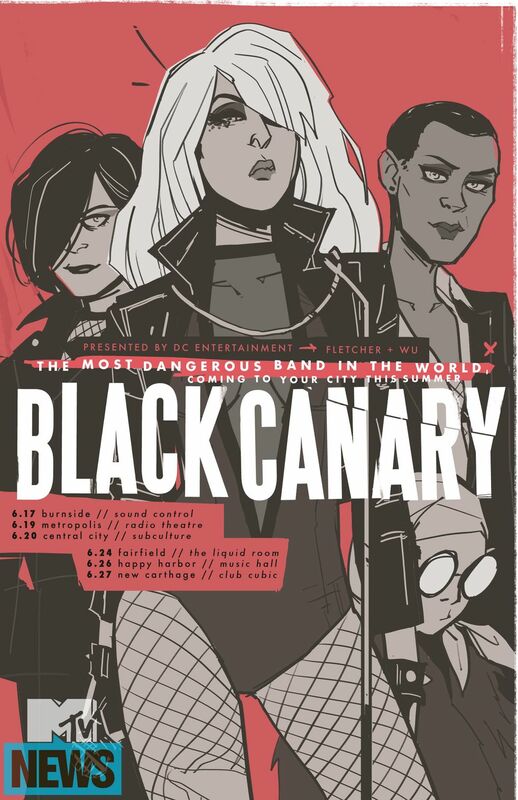 DC has been sneakily producing bonus content, including band posters and fake tour dates in Metropolis and Gotham, for its successful Black Canary comic for weeks now, and it committed to the bit fully by releasing a three-track EP from the comic’s fictional band, Black Canary. It’s a funny sign of the times, hearing a comic book character’s singing voice before we’ve gotten to see her on screen. This EP sounds a bit like Metric, and a bit like Florence and the Machine, if someone asked them to dial it back a bit on the theatricality. The EP release coincides with the comic’s first bound volume, which went on sale yesterday.